Vielles are predecessors of violins. Ours are based on images of vielles on the altar paintings by Hans Memling in the Cathedral of Antwerp, Belgium. The soprano and alto sizes are usually played in the arm, but can be fretted and played "da gamba". 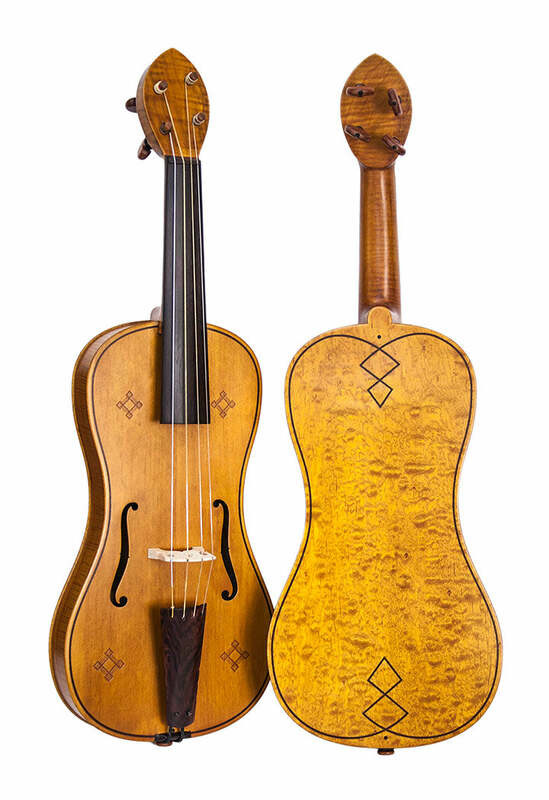 The tenor vielle is too large for playing "da bracio" and is usualy provided with frets for playing "da gamba" style. All have a flat top and back, decorative inlays, a bass bar and sound post and are varnished and polished. All models are constructed with Spruce sounding board, Maple bridge, sides, back and neck, Rosewood tailpiece and fingerboard and Rosewood, boxwood or ebony pegs. Fine-tuning Perfection Pegs, can be fitted to any size vielle.